Samsung had released a handful of budget Android smartphones in India, especially under the Galaxy J range. In July last year, the brand launched the Galaxy J5 and Galaxy J7 as its first smartphones to boast LED flash units at front to deliver better selfies under low light-conditions. After the selfie-focused Galaxy J5 and J7, the company in September launched a budget 4G-enabled device in the J series called the Galaxy J2 in the country. The vendor recently unveiled the Samsung Galaxy J3 in China, and is expected to bring it to India very soon. The Galaxy J5 and Galaxy J3 are both among the best contenders of the budget devices from the company. They share quite a few specifications including the price range. If you are planning to buy any one of these phones, let’s put their specs on the table to find out how they stand against each other. Talking about the design first, the Samsung Galaxy J3 sports a metallic frame, measures 7.9mm around the waist, and tips the scale at 138 grams. The Samsung Galaxy J5 on the other hand sports a plastic design with chrome finish edges. The phone features a waistline of 8.5mm and weighs slightly higher than the Galaxy J3 at 149 grams. Overall, with the Chrome finish edges, the Galaxy J5 looks much more appealing than the J3. The Samsung Galaxy J3 and Galaxy J5, both the smartphones offer 5-inch Super AMOLED 1,280 x 720p resolution displays with pixel density of 294ppi. So when it comes to the media viewing, both the smartphones offer similar experience. On the software-front, the Galaxy J3 and Galaxy J5, both were released running Android 5.1 Lollipop out of the box with the TouchWiz UI on top. There’s no word if they will be getting the Android Marshmallow update anytime soon. The Samsung Galaxy J3 and Galaxy J5, both are powered by 1.2GHz quad-core processors. Their performance is further enhanced by 1.5-gigabytes of RAM. They deliver smooth lag-free user experience and decent gaming experience. Storage capacity on both is also the same 8-gigabytes, which users can further increase up to 128GB by adding a microSD card. Coming to the camera, the Samsung Galaxy J3 gets an 8-megapixel primary snapper, aided by an LED flash and full HD video recording. The Galaxy J5 on the other hand sports a much better 13-megapixel primary camera with an LED flash, autofocus and 1080p recording. For selfies and video calling, the Galaxy J3 and Galaxy J5 offer 5-megapixel secondary shooters. However, the Galaxy J5 has an LED flash unit for the front camera, which offers better quality selfies than the Galaxy J3. In terms of connectivity, the Galaxy J3 and Galaxy J5, both offer support for Indian 4G LTE networks, dual-SIM slots, Wi-Fi, Bluetooth, micro-USB 2.0 and A-GPS. The Galaxy J5 also gets an addition USB on the go connectivity option. When it comes to the battery, the Galaxy J3 and Galaxy J5, both smartphones are fueled by 2,600mAh units. The Samsung Galaxy J3 and Galaxy J5 are not really that different. They offer the same screen sizes, display resolution, software features, configuration, storage capacity, connectivity options, and the same connectivity options. However, the Galaxy J5 sports a more appealing design than the Galaxy J3, and comes with excellent camera specifications with LED flash for the front camera. The Samsung Galaxy J5 has been priced at Rs 11,999, while the Galaxy J3 is expected to be priced in India around Rs 9,000. The Galaxy J5 costs slightly higher than the Galaxy J3, but delivers better selfie experience for these extra thousand bucks. 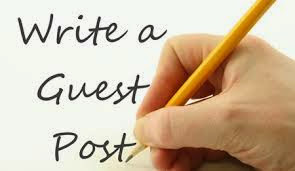 This is guest post by Kundan Srivastava, Thanks to Kundan Srivastava for this awesome and useful information.if you want to post your article on http://www.allaboutcomputing.net you can contact me. For more about Computer programming and for many more about Computer or web designing stay connected with http://www.allaboutcomputing.net . These days everyone seems to want the latest smart phone to come out, but who can blame them when you look at how rapidly these devices are improving. Technology truly has ramped up the speed at which we consume new products, although that simply means that consumers have more access to better quality materials. Although Apple continues to dominate the smart phone market, there is no question that Android is highly popular and a good percentage of the population would not even consider purchasing a new phone. If you want to get your hands on the latest Android phone's, a good place to start is by doing some research on the internet and checking out the various models that they currently have available. Although you might want to go into the store to make your actual purchase, more and more people are preferring to pick up their new smart phones over the internet. This is due in large part to the fact that you can generally get much better deals over the internet, because the online retailers have to compete with all sorts of sites, where as if you were to walk into a store, they do not have much competition. For this reason alone, you should see if you can find a better price online, although it is a good idea to head to the stores to actually get the phones you are looking at in your hand, so you get a feel of whether you like them or not. However, if you are a die hard Android fan, this may not pertain to you, as you likely are going to purchase their products anyway. If you are looking into getting a brand new Android phone, you may want to consider some of these models. The Samsung Galaxy Note 5 has gotten great reviews online and is far superior than the previous models that Samsung has put out in the past, which were lacking in a great deal of areas. They Galaxy Note 5 features a top of the line display screen, which has gotten the phone a lot of attention. The overall features in the phone, in regards to multitasking, taking pictures and videos, and maintaining a long battery life, are drastically better than previous Samsung models. The LG G4 is one of the highest rated Androids on the market right now and they have been called a great all around smart phone. The display screen is crisp and the camera takes high-quality shots consistently and there is no question that the software is drastically improving as well. Samsung has another great Android model out, which is the Galaxy S6. This phone has had some reviews that are calling it hands down the best phone on the market, including the iPhone, which got a ton of people's attention. There is no doubt that this is a high quality phone worth considering and at about three hundred dollars less than the Galaxy Note 5, it may be an overall better purchase. If you are looking for a bit of a cheaper phone that still has a ton of the same capabilities and looks great, you might want to check out the Moto X. Although this phone is less popular and has gotten lower reviews, the camera is of the utmost quality, the software on the phone is great and it holds a long battery life. The Sony Xperia Z5 Premium is another great phone that will also likely get you a lot of looks. This is due to the fact that they sell a bright gold smart phone, which looks amazing and is on par function wise as the top Androids on the market. Irrespective of how well-designed your WordPress theme may be, you may want to change its layout to match the changing web trends or users' needs. In order to make modifications to every WordPress theme layout, you'll have to make changes to your theme's CSS file (or style.css). What's more? The CSS file gives you the ability to format your theme's elements, in order to improve the visual aesthetics of layout. In essence, you can make any changes to your WordPress theme's as you want using the CSS stylesheet. For instance, you can change the position of sidebar, size of the header and footer in theme's web pages and so on. When writing a CSS for the WP powered site, you can easily make changes to your theme layout with a few clicks, but you can even mess up your layout while making tweaks to your CSS. In case, you encounter any issue with the website theme layout, you'll most likely visit a WordPress forum or community to find what just went wrong. Indubitably, there are a number of willing volunteers ready to help you, but wouldn't it be better if you could resolve the problem on your own following some simple steps. So to help you, I've compiled a list of some common CSS mistakes that WordPress users (especially beginners) occasionally make during theme customization. Perhaps the most common CSS mistake that a novice often makes when customizing a WP theme is missed spelling errors. But, the irony is that even professionals make missed spelling errors! 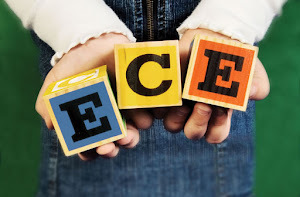 Theme customization is not a simple task and requires to pay attention to several aspects, and thus it's easy to overlook spelling errors. For instance, it's easy to write "left" as "leftt", or you may assign "11ps" for a margin instead of "11px". Wondering how you can deal with this problem? Don't worry, as CSS validator help catches missed spelling mistakes for us. As you can see in the above line of code, each selector contains some properties (along with values), curly brackets, colons and semi-colons. In case, you miss any of these little details, your CSS selectors won't work. Fortunately, CSS validator make you learn about the such little forgotten details. Even though, you have created an excellent website design, adding it in #content when the design was actually meant to be added in the #content-text selector won't make any changes to your theme layout. There's nothing to worry, as you can immediately see the mistake you've made when viewing the page. All you need to do is cut and paste your design contents in the right tag, and once it's completed make sure to delete your design from #content. Worried what happens if you lost the code? You can refer to your backup file. Note: Make sure to create a backup for your CSS stylesheet, so that you can get your lost data as and when required. There's no denying that WordPress new modular templates are very useful, however, one problem with using such templates is that users often do mistakenly make modifications to the wrong module file. That's because, the files have similar names. 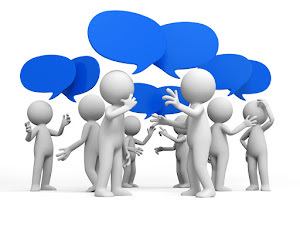 For instance, you may make changes within comments.php rather than comments-popup.php. In case such an accident happens, a backup of your file can prove very useful for you. In many cases, developers often create two references to the same CSS selectors. If you're having several selectors with conflicting information, CSS can't recognize which reference it must use. You will most likely come across this issue when you bring up your existing CSS stylesheet over a new one. For example, in case you're having a fight with a selector for, let's say, h2 heading and nothing happens then make sure to search throughout your stylesheet to see if it contains a second reference to that selector or not. If you made some changes to your CSS file to customize your WordPress theme, and found the theme broken or cannot see any changes, it is recommended that you should go through all of the aforementioned key points. This will help you learn about the common mistakes you might have made when writing CSS. Jack Calder is working as Web developer in Markupcloud Ltd. Which is the top psd to html conversion company. Instead of all these things he also shares important & useful information regarding new updates. This is a guest post by Jack Calder, Thanks to Jack Calder for this awesome and useful information.if you want to post your article on http://www.allaboutcomputing.net you can contact me. For more about Computer programming and for many more about Computer or web designing stay connected with http://www.allaboutcomputing.net . Ever since Intel, Qualcomm, and MediaTek invented 64bit ARM mobile chipsets, smart phones have become smarter with manufacturers fitting them with 4GB of RAM. In fact, 4 GB RAM has become a top selling feature in the high end smart phones being sold around the world. Many smartphone manufacturers have announced their new devices fitted with 4GB RAM and soon these advance mobile phones will make their entry in India. This article lists some of the best 4GB smart phones that will soon be available to Indian consumers. Motorola has not made an official announcement yet, but there have been leaked reports on internet that confirm the fact that Moto X 3rd generation 2015 is soon to be launched in India. This is a very advance smartphone with high end specifications. It is believed to have a massive 5.2 inch screen that produces a resolution of 2560X1440pixels. The monitor will have protection from scratches through Corning Gorilla Glass 3. However, the outstanding feature of this state of the art technology smartphone is rumored to be humongous 4GB RAM. Moto X 3rd generation 2015 will run on latest Android v5.0 Lollipop and it will be fitted with a dual core 1.8GHz Cortex A57 processor. It will be available in both 32GB as well as 64GB models and there will be no slots for expansion of internal memory. It will be a dual camera device with a 15 MP rear camera and a front 5MP camera capable of recording videos n full HD (1080p). Another outstanding feature of this smartphone will be its fast charging battery. The smartphone is fitted with a non removable Li-ion 3280mAh battery that can be charged 60% in just 30 minutes. because of their unique features and high end specifications. Oppo 7 was the last smartphone made by the company that created lot of buzz with its stylish looks and high end features. There are a rumor that next in line is Oppo 9, a smartphone that would boast a 4GB RAM and Quad HD display on a 5.5 inch monitor. 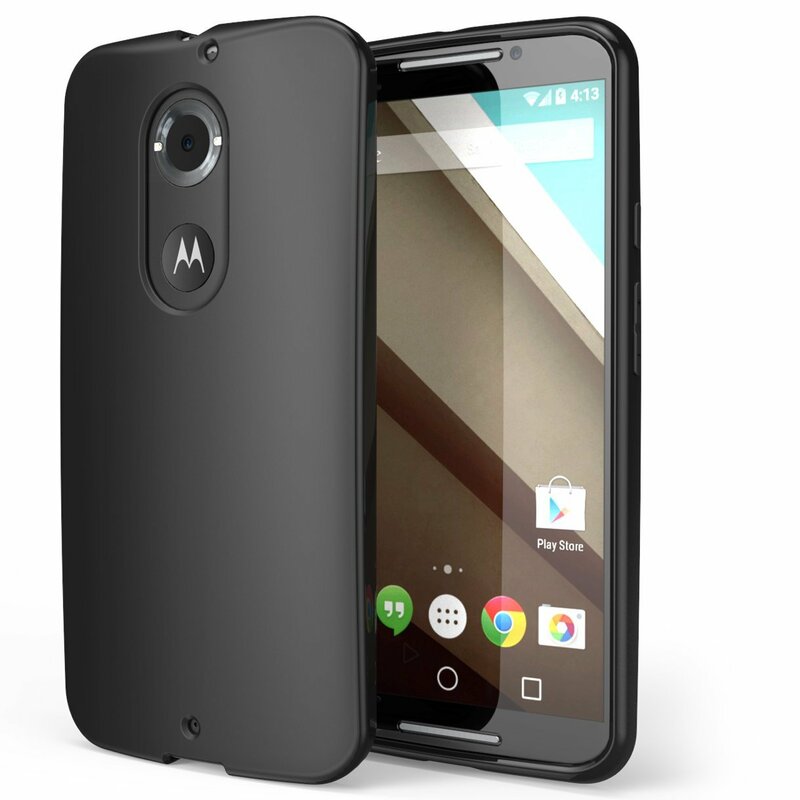 It will have 32 GB of internal memory and will be powered by Snapdragon 810 processor that is octa core. This beautiful smartphone will run on latest Android v5.0, also called Lollipop. Chinese smartphone manufacturer Xiaomi is planning to launch a new smartphone called Xiaomi Mi5 that is slated to have very high end specifications including Snapdragon 820 processor and a massive 4GB of RAM. 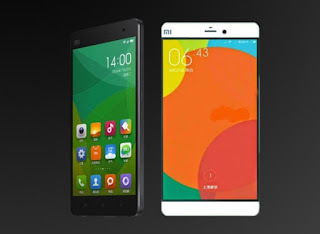 It will be a successor to the very popular MI series that is a strong rival of Apple iPhone 6 and Samsung Galaxy 6. Though Xiaomi has this phone ready but the company waited for the release of the super fast processor from Qualcomm. 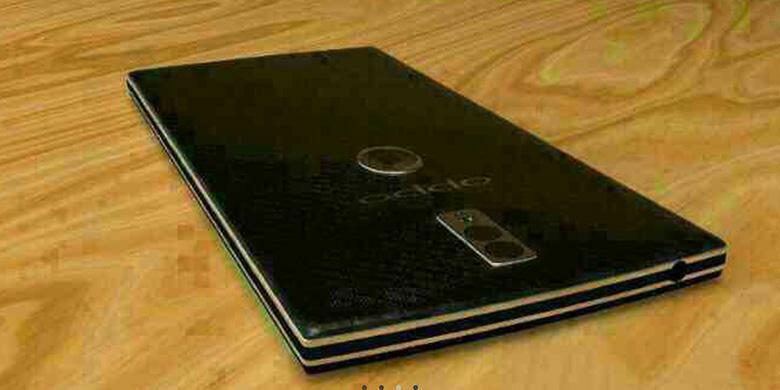 Now this smartphone will be released in the month of November. Mi5 will boast of a huge 5.5 inch screen that will produce a quad HD display. It will have a gigantic 4GB RAM that is much higher than 1 GB RAM of iPhone 6 and 3GB RAM of Samsung Galaxy 6. Another USP of this stylish smartphone will be fingerprint scanner. This scanner will not require a button or a sensor as is the case with iPhone 6 or Galaxy 6. This smartphone will e fitted with a 15 MP rear camera and an 8 MP front camera. Honor is the name of a very popular smartphone series made by Chinese manufacturer Huawei. 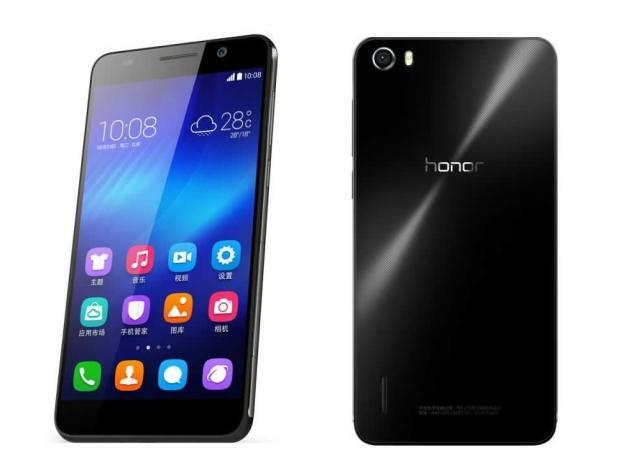 The company is preparing to launch its next flagship product called Huawei Honor 7. There will actually be two models namely Honor 7 and Honor 7 Plus. It is Honor 7 Plus that will boast of 4 GB of RAM and 128 GB of onboard memory. It will have a 5.5 inch screen producing a resolution of 1080p.This phone will be fitted with a very large 4000mAh battery. 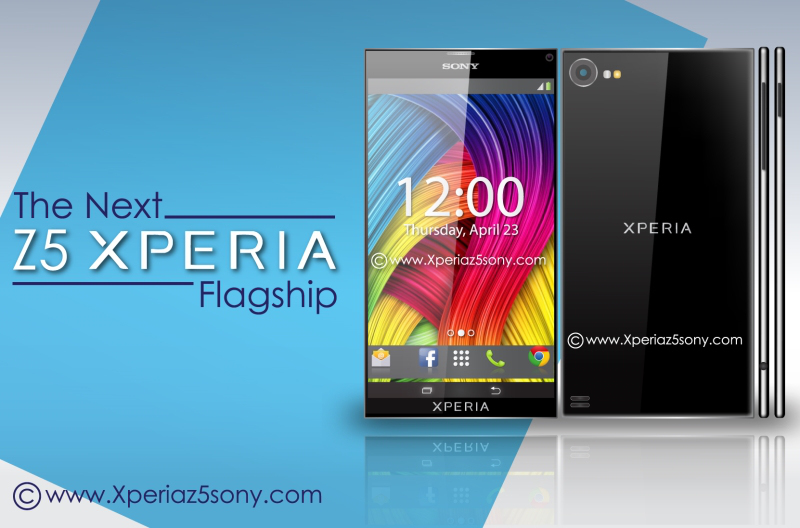 It will have a great 13 MP rear camera. Another outstanding feature of the phone will be its body that is rumored to have been made using aircraft grade metal. working on is new smartphone in this series that will be called Z5. This smartphone will have a qHD display producing a resolution of 1440 x 2560pixels. It will be powered by the latest Snapdragon 820 processor and boast of a huge 4 GB of RAM. Another unique selling feature of this smartphone will be a 21 MP rear camera. This will be the first Sony smartphone fitted with Sense ID fingerprint scanner. The battery of this smartphone will have the ability to charge quickly n a few minutes. It will be a very beautiful and stylish smartphone with a totally clean front without any buttons. There are also rumors that Xperia Z5 will be fitted with a 10 MP front camera. There are some more smartphones soon to be launched in India that will be fitted with 4 GB of RAM. The prices of these phones varies between manufacturers and the features and specifications it gets. Overall, 2015 will be a challenging year for all these manufacturers. However, the smartphones described above are those that are most talked about because of their features and specifications besides 4 GB RAM Mobile. Forms have always been regarded as an indispensable component of a website where users are expected to provide a specific kind of input. If you've been running a WordPress powered website then you'd be well familiar with the awesome plugins that can render you the flexibility of creating forms which can further be incorporated into multiple web pages. One such WP plugin that has served as a 'magic wand' for creating advanced forms is Gravity Forms. Specially suited for e-commerce websites, this plugin can be conveniently integrated with popular applications and online services such as: PayPal, Authorize.net, Zapier and many more. Apart from this, the 1.5 version of Gravity Forms plugin brought along a brand new feature called 'Ready Classes' which provided us an excellent means of building unique layouts for the fields within the forms. Keep on reading the post as I'll take you on a journey of using these Ready Classes for performing minor/major tweaks to the forms. Ready classes are the classes names which can be assigned to the parents elements for every form field. These classes make use of default styles which are available within the form's stylesheet. Therefore, you can choose from a wide collection of options/buttons which allow you to moderate the look and feel of fields available within a specific form. In addition to these highly accessible buttons, there are handy popups which include a well-defined list of different Ready Classes that allow you to customize the forms in your own unique way. Lastly, you can also enjoy the convenience of adding a new Ready Class with a simple double-click. To get started with adding a Ready class to a particular form field, you can get on with opening the form builder and initiating the form editing process. After that, you'll have to decide about the field to which the new ready class needs to be added. For tis, simply head on to 'Advanced tab' where you'll find a CSS Class Name. Here, just insert the names of all the ready classes which you wish to integrate with the form field. This is a CSS ready class that allows you to position the form field inline horizontally(in relation to other fields). Compatible with “top label” form layout setting, this ready class will let you position the field towards the left column out of the two form layouts. Just like gf_left_half, even this ready class is just compatible with “top label” form layout setting. With this ready class, you'll be able to position the form field towards the right column out of the available layouts. You may opt for adding the gf_left_half and gf_right_half classes for arranging the fields in a style that they appear parallel to each other. Here, you must remember that the gf_left_half class is being added to the first field and gf_right_half class to the second one. This ready class will allow you to make big modifications to checkbox lists, followed by converting the checkboxes into 2 column formats which are spaced proportionally. Exactly similar to the gf_list_2 col, the gf_list_3 col will transform the checkboxes into proportionally spaced 3 column formats. With this ready class, you can change your checkboxes into proportionally spaced 4 column formats. You can use this ready class with checkbox lists and multiple form label position settings. Use this ready class for changing the checkboxes into 5 column formats. This class can be used with checkbox lists as well as different form label position settings. With this ready class, you'll be able to position the checkbox list inline horizontally. Quite similar to other ready class, this one can also be used with checkbox lists and varied form label position settings. This ready class lets you assign a 25px height value to different checkbox items included within the available list. Issues such as hanging floats remain at bay, with the use of this ready class. Using this ready class enables you to assign 50px height value to different checkbox items and preventing issues like hanging floats. You may use this ready class with a form label position setting of your preference. This ready class will assign a 75px height value to all checkbox items and prove as a viable option for keeping issues like “hanging floats” at bay. Use this ready class to assign a 100px height value to checkbox items available with the list. Plus, you may use this ready class with a form label position setting(s) of your choice. 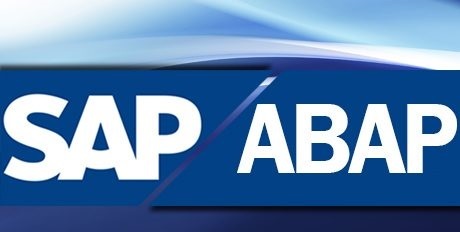 This ready class assigns a 125px height value to checkbox items, followed by offering you the flexibility of using the same with a form label position setting that is in sync with your requirements. Use this ready class for assigning a 150px height value to checkbox items within the available list. If you want to remain safe from the hanging floats error, this ready class can serve as your savior. Explained above are just a few ready classes available for modifying the form fields, there are many other miscellaneous one which come with their unique set of functions. Do share your experiences of using any/all of the above mentioned CSS ready classes using the comments section below. Samuel Dawson is a expert professional with Designs2HTML Ltd, a perfect PSD to HTML company having long years of experience. Samuel has effective strategy to gain knowledge from different online portals & he also shares his knowledge further. This is a guest post by Samuel Dawson, Thanks to Samuel Dawson for this awesome and useful information.if you want to post your article on http://www.allaboutcomputing.net you also can contact us. For more about Computer programming and for many more about Computer or web designing stay connected with http://www.allaboutcomputing.net . In their recent research, the folks at iLounge clarify the fact that the iPhone 6 can draw in 2.1A of current without any hindrance. It means iPhone 6 as well as iPhone 6 plus can reach to 90% of its battery in less than 2 hours. 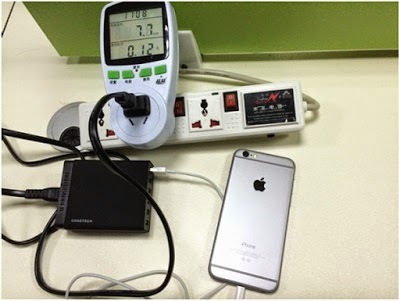 However, the charger in the box of iPhone 6/6Plus having a capacity of 1A along with the Power of 5W, restrict its users to use this feature. So to experience this, users of iPhone can either use the high capacity charger of iPad with a capacity of 2.1Amps and Power of 10W or can purchase a high capacity multi USB charger that can charge the devices at their maximum charging potential. 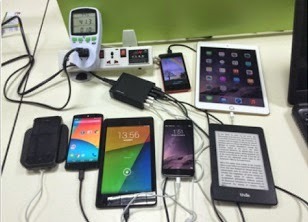 The USB Charger of iPad only contains 1 Port, but if you choose high capacity multiple UBS charger like the one from CHOETECH, you can charge up to 6 iOS as well as Android devices including iPhone 6, iPhone 6 Plus, iPad Air 2, Galaxy Note 4, Nexus 6 simultaneously in within 2 hours with its smart auto- detection function. The charger has a capacity of 10Amps or each port can deliver 2.4Amps. The biggest misconception in the world of Smartphones is that if we use the same charger that is provided by the company in the box, we will get great results. But if consider about the latest iPhone 6 or 6Plus, Apple Inc put the 5W 1A charger in order to reduce the overall cost of product and increase the profit margin from the sales. As a result, users of these latest Smartphones will never experience the fastest charging if they use low capacity based USB charger. 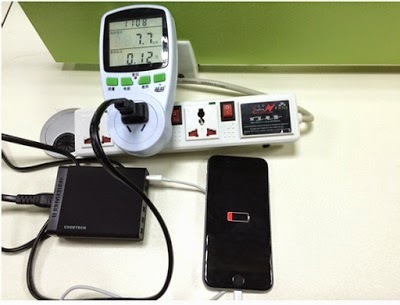 To overcome this issue, an iPhone 6 owner can use a multiport USB charger with high capacity or matching amperage so that they can’t just hanging around at charging station for several hours in order to wait for the battery to get refueled. Go ahead and buy one for your device. This is something you don’t really need to worry about. You can use any of the three images or all together, according to your respective blog. These images are taken by us. Anthony Johnson is a technical product reviewer, editor and freelance writer. Growing up to express every experience of his life in words, Johnson knew at his young age that he wanted to be a technical writer. He reviewed the first product at the age of 19 and hasn’t looked back. Till date he has reviewed several products from most of the major brands worldwide. In this post he is expressing his views on the use of high capacity based Multiple USB Charger to charge iPhone 6 at faster rate. This is guest post by Anthony Johnson , Thanks to Anthony Johnson for this awesome and useful information.if you want to post your article on http://www.allaboutcomputing.net you can contact us at link:- contact us. For more about Computer programming and computer technology or web designing stay connected with http://www.allaboutcomputing.net . The Taiwan based company; Asus that is rapidly expanding and spreading its wings all over the globe have launched a new series of budget friendly smartphones called the Zenfone. 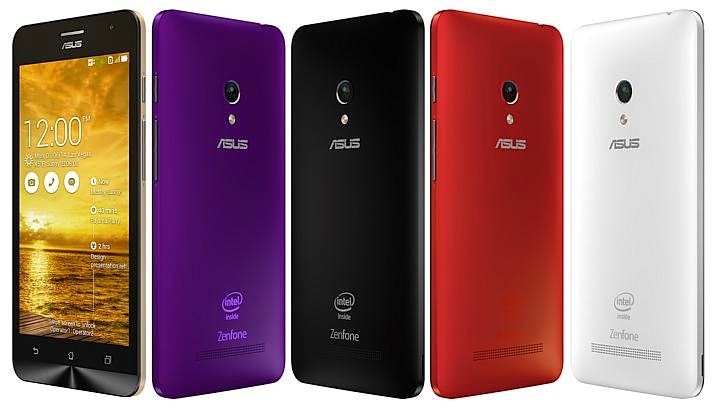 The Zenfone series has three models, Zenfone 4, Zenfone 5 and Zenfone 6 which were revealed at CES this year. The company has managed to create a lot of buzz in the Indian market and has raised many eyebrows because of its affordable price. The Smartphone boasts of a 5-inch IPS HD display with great viewing angles. The screen has a pixel density of 294 ppi which delivers crisp and sharp pictures and the colors look original and vibrant. One drawback about the display is that the screen is very reflective and the contents appear to fade a little in the sunlight. This problem can be solved by increasing the brightness. It has a corning Gorilla Glass 3 for the protection of the screen. The phone comes with a glove mode, which allows users to work on the phone even with gloves on, truly a great feature. The Smartphone clutches a RAM of 2GB with a 1.6 GHz dual-core Intel Atom Z2560 processor. This means all your apps and heavy graphic games will run very smoothly without any lag. Coming with a mammoth 64 GB of expandable memory, the Zenfone comprises of a handsome 8 GB or 16 GB internal memory. The device is a dual SIM (both micro SIM) with a battery of 2,110 mAh. The Zenfone 5 sports an 8 megapixel rear camera with an LED flash and f/2.0 aperture lens. A 2 megapixel front camera is also present for video calling and selfie moments. The phone has few inbuilt camera apps that offer 18 different modes. The most notable camera tool is Time Rewind which saves upto 31 images beginning 2 seconds before the shutter button is pressed. The pictures clicked by the phone are decent in low light and give much more detail in a well lit environment. Asus’s Zenfone works on android 4.3 Jelly Bean with company’s ZenUI skin on top. Asus has announced that the latest version of Android 4.4 Kitkat will be available very soon. The ZenUI gives you the option to customize the elements on screen like the transparency level and theme color. Google chrome is offered additionally with the default browser of the phone. The Asus Zenfone 5 can be taken into consideration for people who want a big screen at a low price tag. Priced at 9,999/-, this smartphone is one of the best budget Smartphone in the 10K segment in India. The article has been written by Kundan Srivastava, who is passionate about technology. He's working at 91mobiles.com and writes about the latest in the tech domain, right from devices to innovations. He recommended Asus Zenfone 5 as one of the best budget Smartphone.